When I traveled to Ghana this past summer, I felt very lucky that the five other people in my travel group were readers, and we spent quite a bit of time talking about one of my favorite things: BOOKS! Two of the many highlights of the trip were visiting the house where W.E.B. DuBois lived while he was in Ghana writing an encyclopedia and viewing his burial site. 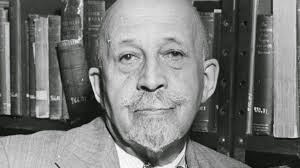 One of the travelers in the group mentioned that she had completed a novel by W.E.B DuBois, and I instantly became excited. I had no idea that W.E.B. DuBois had written a novel. I have read other books by DuBois such as The Souls of Black Folk, but I knew nothing about this novel: Quest of the Silver Fleece. "He who tell a tale must look towards three ideals: to tell it well, to tell it beautifully, and to tell the truth. The first is the Gift of God, the second is the Vision of Genius, but the third is the Reward of Honest." The setting of the novel is after the end of the Reconstruction era in a fictional town in Alabama named Toomsville and Washington DC. It's during an era when cotton, the Silver Fleece, was a very important part of the Southern economy. Many Whites of the town did not want the Blacks to get an education, because they felt that education would make the Blacks 'unfit' to work. However, Miss Smith, a southern Black educator, continued to run her school for Black students. One of the protagonist is Zora. Zora, because of her family's history, is thought by many Whites to be wild, untamed, and not fit to be educated. Now, you know that I love Zora Neale Hurston, and I was very fascinated with the idea that DuBois named the protagonist Zora, and I wondered if she was named after Zora Neale Hurston. After a little research, I do not believe that this character was named after the writer Zora Neale Hurston. The book was published in 1911, and in 1911 Zora would have been around twenty years old and was not on the Harlem scene yet as part of the Harlem Renaissance. She did not go to New York until 1925, and I do not think that she would have met DuBois before 1925. 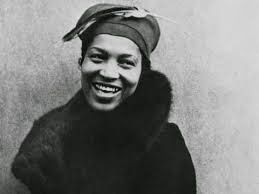 However, wouldn't it be cool if the protagonist, Zora, was named after Zora Neale Hurston? The other protagonist is Bles, whose background is a little different than Zora. He is thought by Whites to be trainable, and therefore, he had access to Miss Smith's school and other opportunites. Zora and Bles were in love, but many people felt that Zora "was not good enough" for Bles. Eventually, Bles and Zora split, and they both left the South. However, they came to the realization that they needed to return to the South to help with the upliftment of their people, and that's just what they did. This novel has love, suspense, history, and is well-written, and I highly recommend that you give it a try. W.E.B DuBois is well with My Soul! My next read is The Fault in Our Stars by John Green!